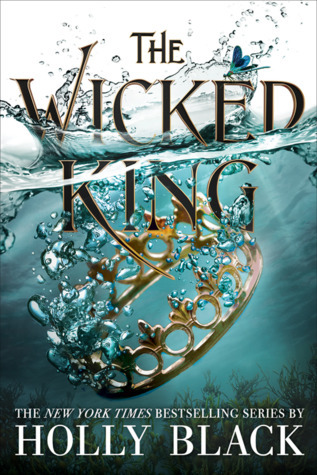 🌟 After the ending of The Cruel Prince, I was convinced to continue the story as the author clearly had much in store. I guess I wasn’t wrong because this was better in all aspects! 🌟 Let’s start with the prose, which is magical and perfect for the story. I was just so intrigued and trying to learn how can she come up with all these descriptions and quotes! 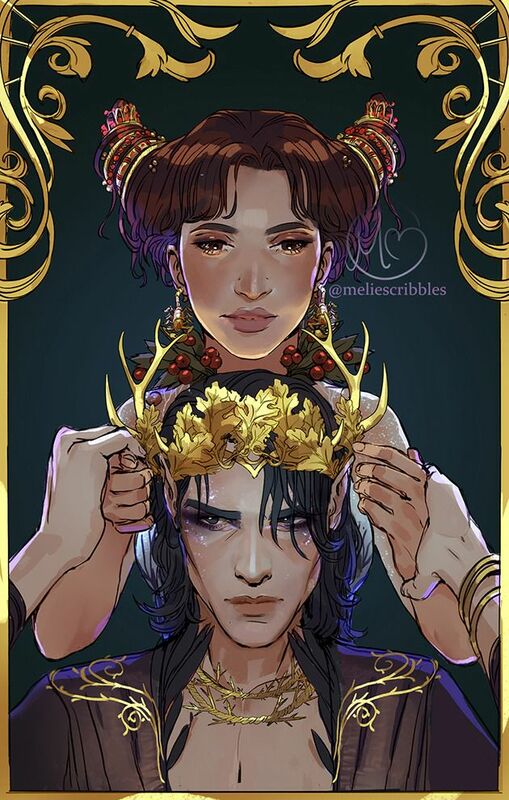 🌟 The World building is also great, we learn more about the Seelie and Unseelie court. This had more political intrigue and it wasn’t boring & I always like that. 🌟 The pacing in the first book was my biggest problem, I found myself enjoying this way more and the pacing was definitely better! I am not saying it was perfect because there was a part where I wanted things to pick up the pace but that was a small part like (10-15% of the book) but otherwise, I was happy with it. 🌟 If you ship Jude and Cardan then you will LOVE this book and I am taking full responsibility for saying this. If you don’t get what is all the hype about (I belong to this group) then you may like them a little better but I also assure you that you will be happy by the end of this book! 🌟 I said that Jude was annoying and childish in book 1, and I kind of forgot this from last year when I read TCP till this year. At some point of the story, I asked myself: “Hey, wait! Didn’t I use to hate Jude and think she is annoying, she’s actually well written here!”. 🌟 Everyone who got ARCs and read this book were all talking about the ending, and I expected a lot after the ending of book 1. When I got to the ending, I was hit by a plot twist which was like a breeze and I was underwhelmed until I was hit by the final storm and I can freak out now and say WTF was that ending!!!!! 🌟 Summary: This book was definitely better than TCP, if you liked the first book, you will love this one. If you didn’t like book 1, then you may like this one. It still had minor problems but I can’t wait now to know what happens in the final book! Just finished and reviewed this in one go today and I’m one of the gushing five star fans. Yeah there are really several twists in the ending aren’t there! I saw the first part coming (Holly Black tweeted that there were two “weddings” in this book I think, so I knew) but then the last page was a complete WTF. It’s going to be a long year for the last book. You still can get aboard! I think you will enjoy it by my knowledge in your taste. but it is always a good plan to go with lower expectations! I enjoyed book one but didn’t love it so maybe I’ll enjoy this one more! I love the world building in TCP though. Great review!